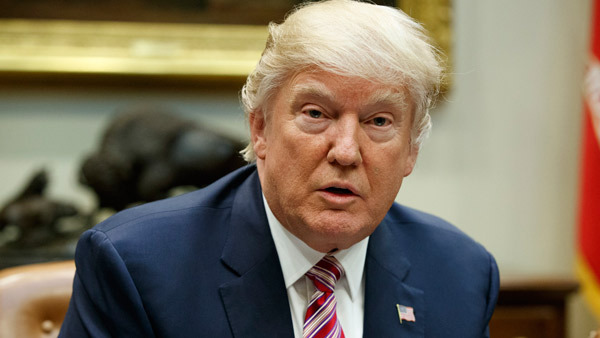 WASHINGTON -- President Donald Trump earned $153 million and paid $36.5 million in income taxes in 2005, paying a roughly 25 percent effective tax rate thanks to a tax he has since sought to eliminate, according to highly sought-after tax documents disclosed Tuesday night. The AMT requires many taxpayers to calculate their taxes twice - once under the rules for regular income tax and then again under AMT - and then pay the higher amount. Critics say the tax has ensnared more middle-class people than intended, raising what they owe the federal government each year. As a candidate and as president, Trump has refused to release his tax returns, breaking a decades-long tradition. Although he initially promised to do so, he later claimed he was under audit by the Internal Revenue Service and said his attorneys had advised against it - though experts and IRS officials said such audits don't bar taxpayers from releasing their returns.